The South-Eastern Norway Regional Health Authority (Helse Sør-Øst) aims to profile ongoing innovation projects in the region by calling special attention to an "Innovator of the Month". For the month of March 2015, this honor went to Heidi Lyng, leader of the Clinical Radiation Biology group at Department of Radiation Biology, the Norwegian Radium Hospital, Oslo University Hospital. Lyng’s group works to find biomarkers that can identify patients at risk of failure after radiotherapy and be possible targets for therapeutic intervention in a combined chemoradiation regime. Their research has resulted in five submitted Disclosures of Invention (DOFIs), four active innovation projects supported by patent applications, and one executed license agreement with a US-based molecular diagnostics company. The group has an active collaboration and option agreement with the US-company for translation of a set of biomarkers to an industrial setting. This initiative is supported by NFR FORNY funding. 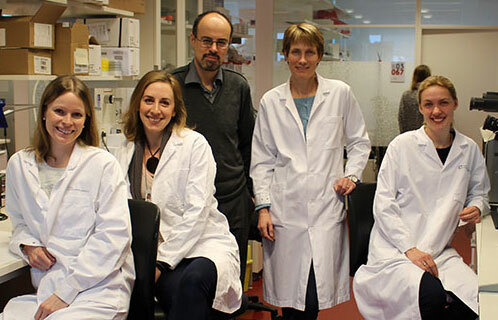 The group also receives innovation grants from NFR (BIOTEK Optimization) and HSØ.